The resort is not just for day time activities, the night time and the closing of the park for the day provides some stunning views. You will love the laser shows and fireworks at the close of the park. This is a truly breath-taking opportunity to see the wonders of space and view the world from the stars. Whether you dream of being an astronaut or not, this is a brilliant ride. 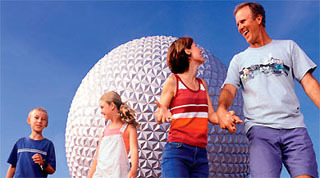 If you want to have a hands on adventure, join in the Kim Possible adventure at the Epcot. You will get to tour the different countries as you battle to complete missions that will help you save the world. Being in the theme park in the evening may mean a long day for the kids but when you see the sights and excitement caused by Test Track, you will understand why it is good to come in the evening. If you are looking for a little adventure, the three mountains of Splash Mountain, Space Mountain and Big thunder Mountain Railroad will give you stunning views and a lot of tension! 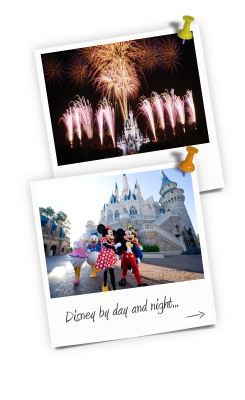 If you thought you had seen fireworks before, you have seen nothing until you witness the spectacular fireworks display that Disney provides. Lampooned by the Simpsons and so many comedy writers, you'll instantly feel as though you know this ride. 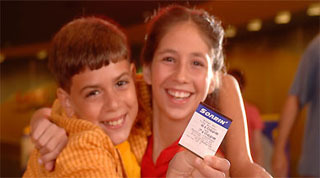 It is a perfect and nostalgic trip for young kids and adults remembering their own time at Disney World. 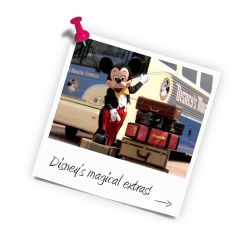 No trip to Walt Disney World is complete without seeing the home of the most lovable and popular Disney character, Mickey. Be sure to grab a picture with Mickey. 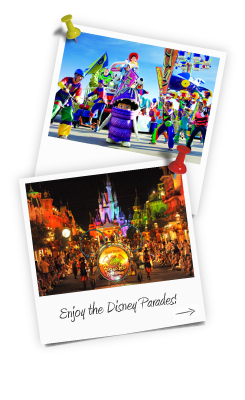 While a Disney holiday will be a fun one, there is time for educational elements too. This boat ride is relaxing but it will help you and kids to see how food is grown and cultivated for people all over the world. Even eating can be fun at the theme park. 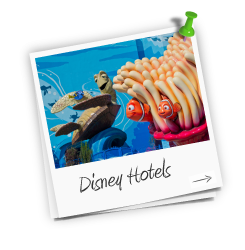 Make sure your kids are delighted for meal time by booking a character meal when you get to sit down with one of your favourite Disney characters. Sometimes it can be good to take things easy in the Magic Kingdom. 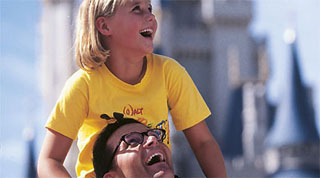 This ride is relaxed and perfect for young kids. Also, if you or your children are wavering about Space Mountain, this ride lets you get a glimpse of it at a much lower pace. Disney understands the power of music and this 3D film is an excellent treat for all of the family. You can sing along with some of your favourite Disney songs right here. While the cost of food and drink at the theme park may be expensive, treats like a Premium Bar or a turkey leg will fill you up for hours. Again, this attraction makes the most of the time when night turns into day and the light starts to fade. If you are looking for a breath-taking and spectacular show, this is the parade to see. The name says it all. Hitch a ride with this boat-trip as you get to see the wonder of the jungle and the many creatures that call this type of land home. Kids love dinosaurs so why not let your little ones have fun on an adventure to find dinosaur bones. With slides and the opportunity to get stuck into some archaeological fun, your kids will love this adventure. A thirty minute show with all of the brilliant songs from the Lion King movie. The performers put everything into this show so you'll have a lot to enjoy about this performance. You may not have thought that Finding Nemo would translate into a heart-warming musical act with plenty of big performances but that is exactly what is on show here. The actors do a great job performing while using puppets. This isn't a show for young children as some of the darker Disney characters are on show. This is a tremendous show for older kids and adults though as it utilises a great range of lights and characters to create a very popular show, which can include dinner if you book early. If you have ever wanted to be the next rock and roll star, this ride puts you into a Stretch Limo and lets you see how the other half live in excitement and fast moving action. 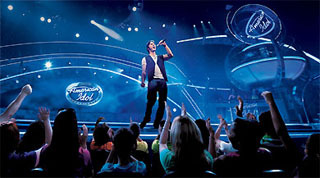 This is the ideal show for youngsters and pre-school kids. There is a lot of colour, movement and music, so you can guarantee that your youngsters will absolutely love what is on offer with this show. Stunt show Lights, Motors, Action! If you love the excitement of movies and want to get closer to the stunt men and women doing fantastic turns and tricks while driving cars, this is definitely the show for you when you visit Disney World. You don't need to take an around the world trip to enjoy food from a variety of different countries, the Epcot gives you the chance to try everything you need in one place. Make your way to path that lies between Africa and Asia to find this street performer like no other. You'll be amazed at her movement and when she springs to life, your whole family will stop in amazement to watch her. Time is often at a premium but taking the slower route and the hidden paths can often bring about benefits. This is very much the case along the Tree of Life where you can see animals in great detail close up. Lovers of African art will adore the wide variety of pieces on show and it is even possible to book a guided tour. If you want an expert to answer your or your kids questions, this is the ideal way to do so. 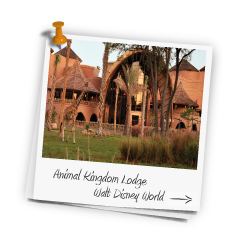 It almost seems like Disney World can show you the world, If you love animals and nature, join in the Safari adventure as you get to witness animals up close and at their frightening best. If you are looking for a bit of terror and wish to be frightened, this ride is extremely well put together. 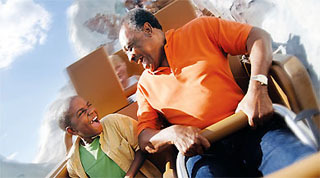 It may not be for all of the family but this is a ride that will shock and excite plenty of kids, young and old. The length of the lines says it all. If you are prepared to queue or you can beat the rush, you'll love the chance to play these stunning video games where all the family can join in. While IMAX cinemas have been improving the cinema experience in recent years, this treat in Epcot provides you with the sensation of gliding over California, making it an amazing feature for young and old. This may be a classic but it still brings a smile to the faces of children everywhere. This is a nice and relaxed feature that can help everyone to catch their breath while having some fun. You don't need to wait until Halloween to enjoy the things that go bump in the night. 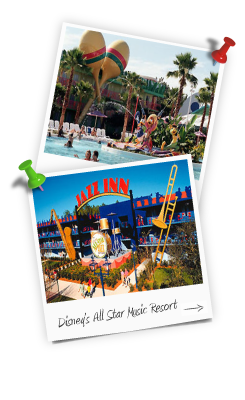 This is a Disney classic and no trip to the resort is complete without a visit here. To the surprise of many people, it was actually this ride that was the inspiration for the film, and not the other way about. This was also the very last ride that Walt Disney worked on for the company. Okay, this is a section of the park sponsored by Coca Cola but you can get a free drink! There are plenty of Coca Cola products from around the world so if you want to try something a bit different, go right ahead. Youngsters will love this miniature train ride and the village changes regularly so even if you come back, it is likely to be different from the previous time you visited. A 3D experience with all of your favourite Muppet characters. This is definitely the sort of thing that will appeal to all of the family. It's a very popular name but this is a quiet and relaxed part of the theme park. If you need a breather or you want to take a historical trip to the past, this is the ideal place of the park. It is also one of the few areas where there is no gift shop so you can save some cash. The song When You Wish Upon A Star is the pinnacle of Disney for many folk. Why not end your special day by heading to the Cinderella Castle and seeing it change colour amidst a twinkling and stunning backdrop. You can't beat the smell or taste of freshly baked bread and sweet treats, so give yourself a big treat by heading to this part of the Magic Kingdom and fill your rumbling tum. This is an actual barber shop and hairdressers in the theme park! You can have your hair cut and then sprinkled with any colour of the rainbow. Special credit goes to getting your kids first ever haircut ever as you will receive a lock of the hair, a certificate and even a commemorative pair of mouse ears! This is a short but special ceremony dedicated to people who have fought for their country. It is possible for retired military professionals to be part of the ceremony. There are more popular paths to get from Tomorrowland to Toontown but this way beside the tracks gives shade, a chance to relax and some stunning views. This area is just for little kids but it provides a perfect shaded area where youngsters can have fun and enjoy climbing and sliding. It is not for everyone but if you have youngsters, this is a fantastic place to visit. The Blizzard Beach water park. You can enjoy your lunch at the back of this area while everyone else can have a great deal of fun in the water park. 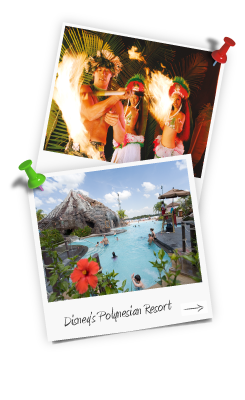 Whether you want adventure or relaxation, this part of the theme park delivers. Kids may not be too interested in artists but when you tell them the artist works in candy, they are sure to pay more attention. These sweets treats can be eaten but you will hand to hold on to these Japanese rice candy treats for a long, long time. Rides are excellent but they are something that you share with many other people. Hiring a pontoon boat gives you the chance to unwind with all of the family around you. People may not be entirely sure what Goofy is but having the chance to design your own sweet treat is definitely appealing. Have some fun and then enjoy your creation. Again, even though there are plenty of gifts and products to buy at the theme park, why not add a personal touch by creating your very own special pair of Mickey Mouse ears. Yes, there are talking trash cans (rubbish bins) and water fountains to look out for. Not every bin or fountain talks back, so make sure you check out the interesting ones during your stay. These vehicles provide you with the ideal way to get around the park although they are only for adults and youngsters over the age of 16. You'll have the hang of them in no time at all.